The following reports of accidents are in Iowa and include semi-trucks on I-80, a milk truck overturning, a farm accident, single-vehicle rollovers involving teenagers, less than ideal road conditions, out-of-state drivers traveling across Iowa and what appears to be a medically related condition causing the driver to lose control. As always those injured should act quickly to gather and to preserve evidence to prove their case and if you can’t or those left behind can’t, then hire a lawyer skilled in the area of personal injury. If we can assist, give us a call. Ruth Hoskins of southeast Iowa died February 27th as she worked with her husband to transport grain. John Hoskins was backing a utility vehicle close to the grain wagon so Ruth Hoskins could attach it. John Hoskins mistakenly hit the accelerator instead of the brake and the utility vehicle hit Ruth. Emergency personnel started CPR at the scene and transported Ruth Hoskins to Fort Madison Community Hospital where she died of her injuries. Farming is one of the most dangerous occupations on par with iron workers. Asher David Oakes, 91, of Zearing was traveling eastbound on 190th street on March 1. He stopped prior to turning onto Highway 65, but failed to yield to oncoming traffic. A semi driven by 32-year-old Aleksandar P. Iliev was traveling southbound and collided with Zearing as he turned. Zearing was transported first to Mary Greeley Medical Center and then to Mercy Medical Center where he died of his injuries. Distracted driving is one of the leading causes of car and truck accidents in Iowa. In this respect Iowan’s are no different than New Yorkers or those from the larger cities. Joseph C. Bohannon, 37, of Jackson County died on March 2 in a single vehicle collision. Bohannon lost control of his vehicle as he traveled eastbound on 64 just east of Preston. His vehicle skidded towards the shoulder and into a ditch before hitting an embankment and subsequently flipping over. Bohannon was partially ejected in the crash. Rescue teams worked to extricate him from the vehicle, but Bohannon died on location. Some, but not all, single-vehicle accidents can lead to dram shop recoveries for the dependent children or spouse and/or workers’ compensation claims. On March 3, just after midnight, a box truck driven by Michael Miller of Cedar Rapids rear-ended a tractor trailer driven by a South Dakota man. The tractor trailer was traveling eastbound on I80 through Poweshiek County at a slow rate of speed due to the road conditions. The emergency lights were turned on and the tractor trailer was in the right hand lane when 20-year-old Miller hit it from behind. Miller died from his injures. The tractor trailer driver was not injured in the accident. Distracted driving causes many accidents on interstate highways including those in Iowa. I-80, I-35, I-235, I-29 and I-380. We assist drivers, owners and passengers who need help with their personal injury, workers’ compensation and property damage claims. Call us for a free consultation about whether or not you have a claim and what we can do to help you. Call now! Rodney Feller, 14, of Sioux City died on March 5 at around 9:40 p.m. when he lost control of the Grand Am he was driving on Villa Avenue. Four passengers, ranging in age from 14 to 16-years-old suffered injuries in the accident. The vehicle rolled and then crashed into a utility pole while upside down. Feller, a student at West High School, is being mourned by family and classmates. These are interesting and can be quite complicated cases. The number of passengers can quickly exhaust the limits of coverage. Depending on the extent of the injuries all passengers are wise to quickly seek legal advice. 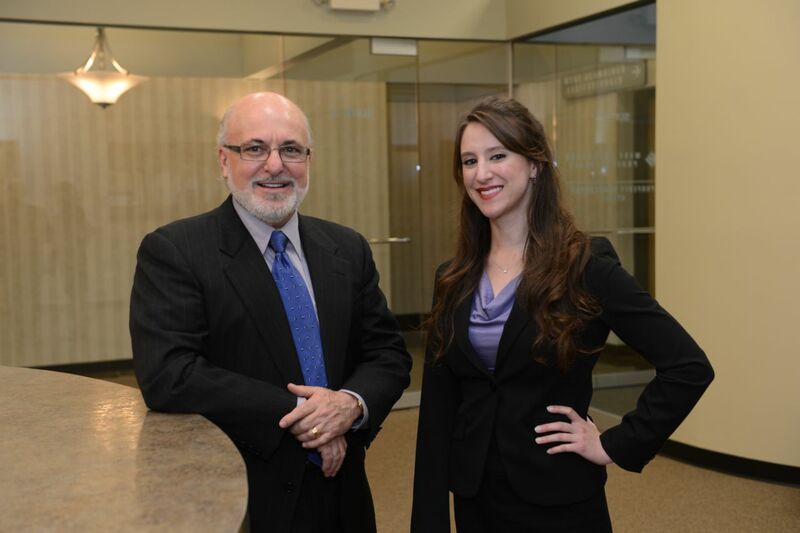 We handle dozens of these cases every year and Attorney Lombardi has handled thousands over the past thirty-five years. Call us for assistance. Call now! Ardeth Paulson, 90, of Council Bluffs died on March 6 in a single-vehicle accident on South Seventh Street. Paulson was heading towards St. John’s Lutheran Church at 7:45 a.m. when she lost control of her car and crashed into a post near Willow Avenue. CPR was initiated at the scene and Paulson was transported to Methodist Jennie Edmondson Hospital where she was pronounced dead at 8:30 a.m. Although the accident is under investigation, authorities believe she may have suffered a medical emergency while driving. This may be a true accident. If the driver suffered, say a heart attack, then lost control and crashed it is in every sense a true accident. They don’t happen often but can and do. Dylan Watson, 22, of Menlo, Iowa was killed in a March 7th accident on Highway 65/69. The crash occurred just miles north of Indianola when a semi driver waited to make a U-turn onto southbound Highway 65/69. The truck crashed into the semi truck, which then landed in the median. This crash is still under investigation by state authorities. U-turns especially on highways are a dangerous maneuver. Distracted driving causes many accidents on interstate highways including those in Iowa. State highways, I-80, I-35, I-235, I-29 and I-380. We assist drivers, owners and passengers who need help with their personal injury, workers’ compensation and property damage claims. Call us for a free consultation about whether or not you have a claim and what we can do to help you. In this accident both drivers may have claims involving different laws and claims. Call now! On March 8th at approximately 2:00 a.m., Charlie Craver of Amarillo, Texas lost control of his truck and trailer and overturned. He crashed on Highway 18, just east of West Union. Milk spilled into a ditch as fire department personnel scrambled to salvage the remaining gallons. Craver was treated for minor injuries and charged with a failure to maintain control of his vehicle. Some, but not all, single-vehicle accidents can lead to dram shop recoveries for the dependent children or spouse and/or workers’ compensation claims. Dependents from other states do not normally realize they may be entitled to Iowa Workers’ Compensation benefits and Iowa benefits are better than most states. If you are a dependent and would like to know more, call for a free consultation. Call now! A pedestrian was killed in a hit-and-run accident on Interstate 480 early March 10th. The black male was found, dead, near the westbound lanes of the I-480 bridge. Police have not yet released his name, and an investigation is ongoing. Police urge anyone who may have information in this case to contact Crimestoppers at (712) 328-STOP.